Melbourne Airport has installed two digital advertising screens measuring 320m2 (3,400ft2) on its Terminal 4 parking lot, enabling companies to create campaigns that can interact with one another on a scale that can’t be found anywhere else in Australia. Some of the features include full synchronization between displays, full motion content and full HD capabilities and more than 1.52 million individual LEDs per screen. Melbourne Airport chief of retail Andrew Gardiner said he was proud to bring such a dynamic advertising opportunity to the airport: “Installing such grand-scale digital screens is not only ground-breaking for an Australian airport but also the country, taking our ability to raise brand awareness to new heights for marketers. “Melbourne Airport is Australia’s busiest 24/7 airport, servicing almost 37 million people annually so we are guaranteed to capture the attention of millions of travelers each year. “While the screens produce new opportunities for marketers to unleash their creativity, they will also play a key role in the airport’s ability to communicate with passengers through showcasing airlines, retail deals, car parking offers and new tenants. 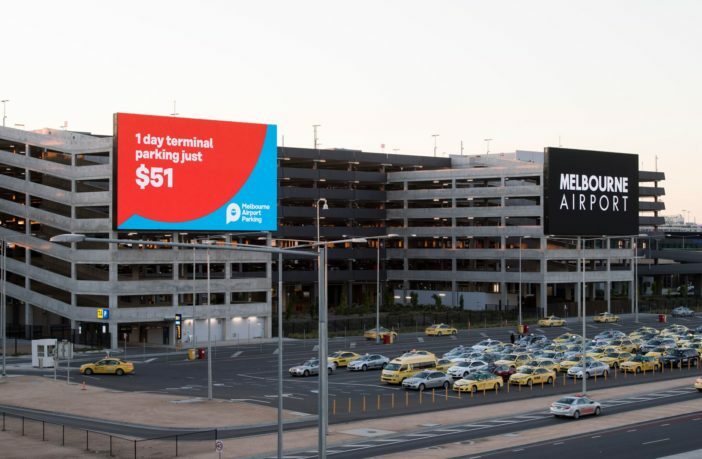 Melbourne Airport partnered with leading LED manufacturer Unilumin and audio visual supplier Corporate Initiatives to deliver the product, and oOh! Media will manage advertising on the super screens.